Sophomore guard Terry Nolan Jr. is transferring out of the men's basketball program. 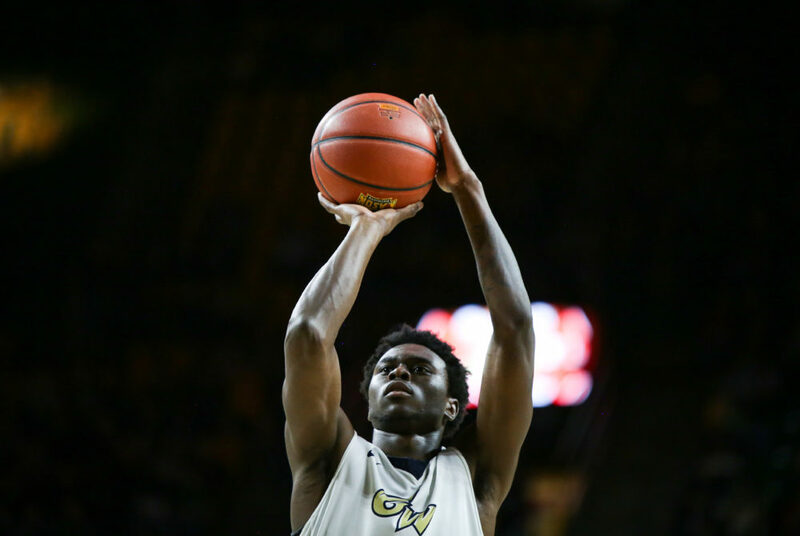 Sophomore guard Terry Nolan Jr. is transferring out of the men’s basketball program after two seasons at GW. Nolan announced that he will transfer on Twitter Wednesday, saying he will be “weighing all options” for his next step. Nolan entered the year as the Colonials’ highest returning scorer and averaged 10.9 points per game. He shot 34.9 percent from beyond the arc and swiped 28 steals on the year, both the second-best marks on the team. Nolan was a fixture in the team’s starting lineup, averaging 28.7 minutes per game through 20 starts on the year. As a rookie, he started in 31 games for the Colonials. Nolan is the second player to transfer out of the program since former men’s basketball head coach Maurice Joseph was fired earlier this month and officials said Jamion Christian would take the spot last week. Freshman guard Shandon Brown announced his transfer Friday.